The attorneys general for the District of Columbia and 11 states, from New York to California, filed a lawsuit yesterday to quash the Department of Labor’s recently final regulations authorizing association-based health plans for a broader swath of employer groups, including working owners. 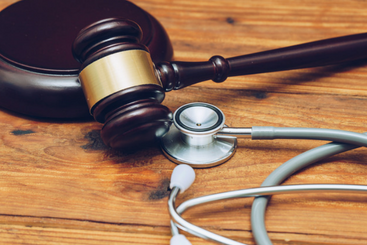 Although the lawsuit doesn’t challenge prior, and still in-force, rules permitting associations to provide health insurance to their members, it nevertheless creates unwelcome uncertainty for employer groups looking to create an association health plan under the new rules. For many years, groups of employers not under common control have had to satisfy strict requirements to band together for health insurance purposes. This was particularly true where the employers tended to be small but hoped to have their insurance carrier issue the group a large-group health insurance policy that avoided costly state and federally imposed small-group health insurance rules. Groups that could satisfy the prior rules tended to be single-industry trade or professional associations, like medical or bar associations. These and similar groups of employers were not formed for the purpose of providing insurance but existed primarily for other purposes unrelated to benefits. In addition, the prior rules make it problematic for sole proprietors and other “working owners” with no employees to participate in the association’s health insurance program. On the other hand, the prior rules permit an association-based health plan to individually risk rate its employer members, allowing the association to more effectively allocate risk (and thus control costs) under its health plan. Band together primarily for health insurance purposes. Come together for this purpose across diverse trades or professions (e.g., a chamber of commerce), subject to geographical limits. Insure under the association health plan working owners with no other employees. On the other hand, the newly final regulations don't allow an association health plan formed under these rules to rate individual employer members on the basis of health risks. Lockton comment: This restriction calls into question the ability of an association health plan formed under the new rules to actually deliver anticipated cost savings or sustain viability. If an association can’t charge a higher-risk employer more for its health insurance, the other employers in the association plan might grow weary of subsidizing the health risks posed by the higher-risk employer. The lawsuit challenges only the recently finalized regulations, alleging that the new second avenue for association-based health insurance violates federal law in several ways, contradicts Congressional intent and impermissibly threatens the states’ small-group insurance markets. The plaintiffs are worried that if the best health insurance risks in their small-group markets flee those markets to less expensive association-based health insurance, the risk profile of their small-group markets may deteriorate, causing premiums to spike and threatening the very viability of those markets. Lockton comment: In addition to the District of Columbia, the plaintiffs include the states of California, Delaware, Kentucky, Maryland, Massachusetts, New Jersey, New York, Oregon, Pennsylvania, Virginia and Washington. Although 39 other states are not represented in the lawsuit, they will be affected if the court blocks implementation of the new rules or quashes them entirely. Lockton’s Association Health Plan Advisory Practice is working with a variety of employer groups to explore the viability of association-based health insurance for their employer members. Some of these groups are existing associations that can (and should) use the prior rules to establish a health plan. These groups can risk-rate their employer members, but they will have difficulty allowing working owners to participate. Other groups, however, that have not yet coalesced into a formal association-type structure, have been considering whether to form under the old rules or the new. The lawsuit filed yesterday throws some uncertainty, for now and at least the next several months or longer, into efforts to come together under the new rules for the purpose of providing health insurance. Our Association Health Plan Advisory Practice will keep you informed regarding future developments with the lawsuit. Not Legal Advice: Nothing in this Alert should be construed as legal advice. Lockton may not be considered your legal counsel and communications with Lockton's Association Health Plan Practice or Lockton’s Compliance Services are not privileged under the attorney-client privilege.